Importer: Designs Direct, of Covington, Ky. Hazard: The electrical cord can fray near the base of the lamp, posing a fire or shock hazard to consumers. 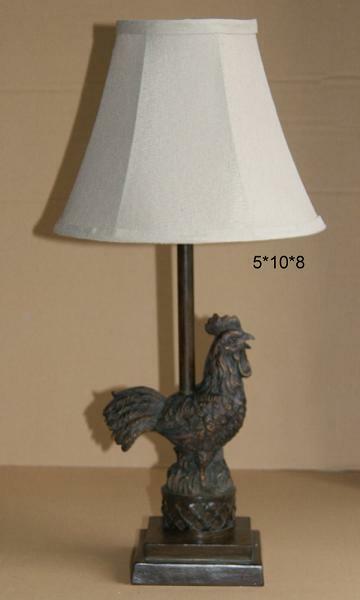 Description: This recall involves Living Traditions 21-inch rooster-themed lamps. The brown polyresin lamps have an off-white shade and a carved 9-inch rooster affixed to the base. 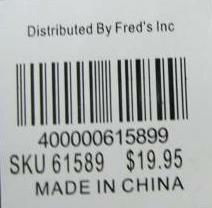 A label on the underside of the base reads "Distributed By Fred's Inc" and "SKU 61589." Sold exclusively at: Fred's Inc. stores nationwide between October 2011 and November 2011 for about $20. Remedy: Consumers should immediately stop using the recalled lamp and contact Designs Direct for a refund.